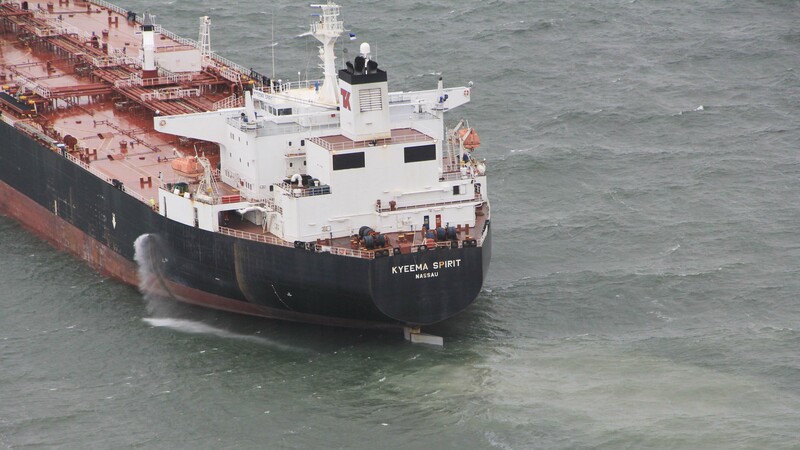 A Bahamian flagged tanker ran aground on a shoal to the east of Aegna island at 6:55 on Monday morning. Officials said there is no threat of pollution or danger to the 24-member crew of the 250-meter-long Kyeema Spirit, which is not carrying cargo. An anti-pollution vessel and three tugboats were deployed to the site. Their crews are now waiting for the weather to improve so that they can begin towing the tanker out of the shallow. The government committee investigating the case has classified it as a “very serious accident.” There has so far been no indication of a technical failure. That evaluation may change as the investigation continues, which officials said could take as long as months and would include an analysis of information from the freighter's video surveillance system, according to a statement from the Ministry of Economic Affairs and Communication. Officials also said that bad weather could have played a role in the crash, with a wind speed of 16-18 meters per second when the incident occured. 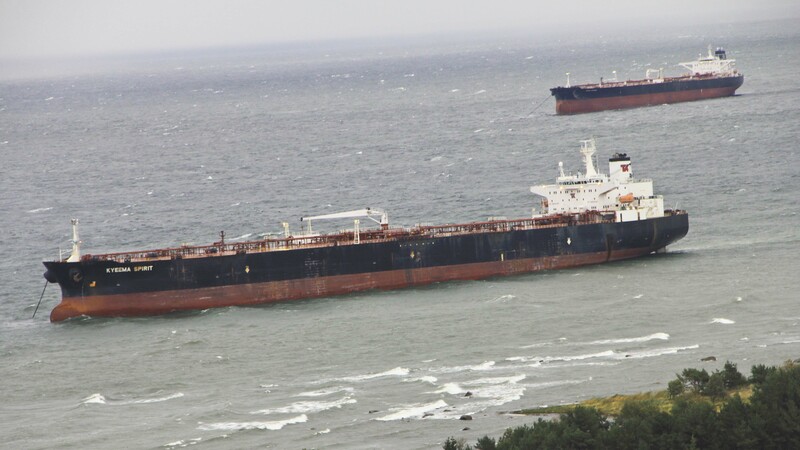 The Estonian Maritime Administration said its traffic control center had observed the vessel and warned its crew repeatedly before the ship was grounded. The tanker had been leaking bilge water, but the leakage has now been stopped. The Police and Border Guard Board's maritime guard specialist, Ivar Treffner, told ERR radio that the ship's condition is stable and that the crew will remain on board for now. Although Estonian authorities have not requested assistance from neighboring countries, the Finnish and Swedish border patrols and environmental protection officials are also keeping a close eye on the situation, reported YLE. A Swedish airplane conducted an observation flight over the area at 12:00, and three anchored Finnish anti-pollution vessels are standing by. The chief inspector of the Finnish environmental center Syke, Heli Haapasaari, warned that the ship's own fuel supply could still pose a threat. "It would be an extremely serious situation if a leak of this size occurred so close to the shore," he told YLE.